Letni obiad - makaron, biały ser, śmietana, owoce. 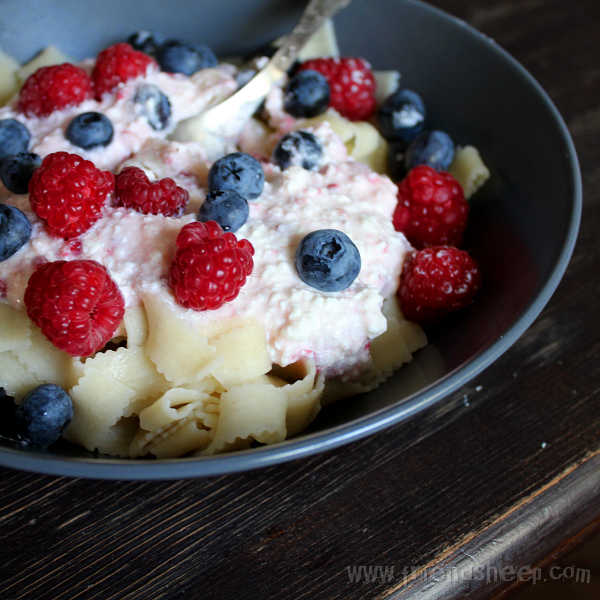 Summer lunch - pasta, cottage cheese, cream, fruit. Yummy. I like blueberry and rasberry. There is blueberry in my garden.